Santa Monica voters heading to the polls for the mid-terms are being asked to approve or reject a record $485 million bond measure intended to upgrade and replace outdated facilities at the city’s schools, including Will Rogers, so students can be fully equipped for a 21st-century education. 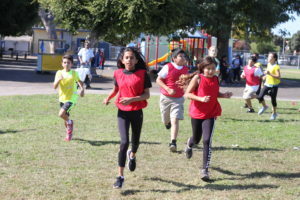 It’s the biggest and most ambitious school funding project in memory, intended to address everything from lead paint and fault electrical wiring to security fences, computer equipment, science and technology labs, and upgrades to playing fields. 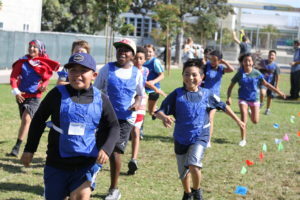 The measure, proposed by our schools superintendent, Ben Drati, and supported by the school board and a broad coalition of Santa Monica civic leaders, requires 55 per cent of the vote to pass. 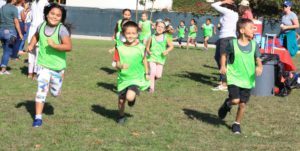 In contrast to past efforts to raise extra funds for our district, Measure SMS – also known as the Santa Monica Classroom Repair and 21st Century Education Bond – has attracted no formal opposition. 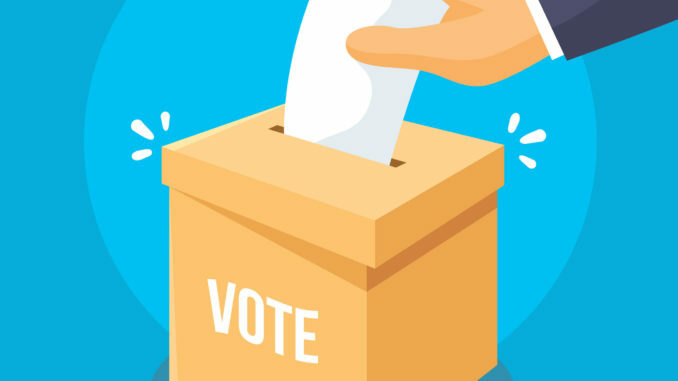 The goal, if the measure passes, is to kick off a building frenzy across the city (Malibu voters are considering their own, separate bond measure) that would see most projects completed in the next three years. 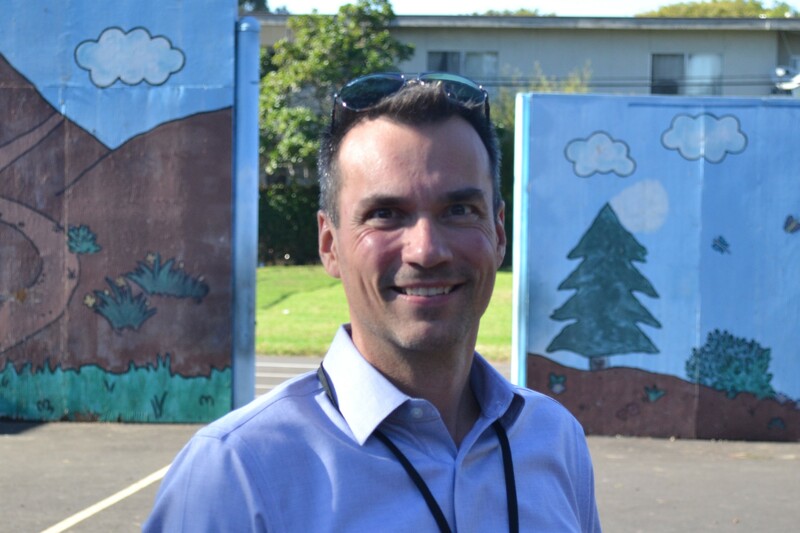 No projects have been formally lined up ahead of the vote, but Ryan Bourke, the Will Rogers principal, already has a wish list that could include a new STEM-related building on the district-owned land currently occupied by a church set for demolition on the corner of 16th and Maple, a new perimeter fence and smart entry system, and new structures to replace the 5th-grade bungalows. 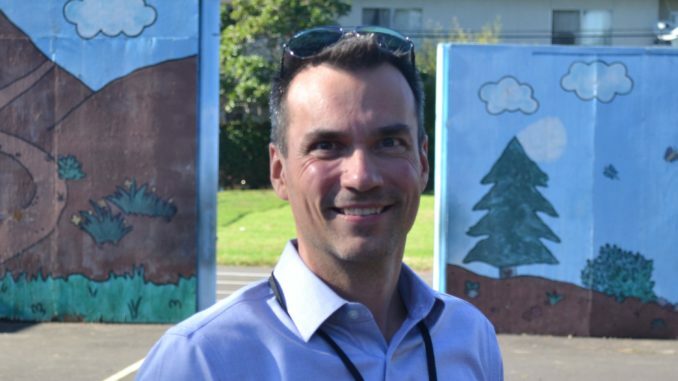 “If the measure passes, we’ll be brainstorming as a community – staff, students and parents,” Bourke said. The bond, and the interest it accrues over the next 30 years, would be paid out of property taxes. The expected increase for Santa Monica homeowners would be around $38 a year per $100,000 in assessed value. Landlords are likely to pass on that expense to their tenants. Many voters see high-quality district schools as an attraction in themselves and a boon to local property values, which explains why five of the seven school funding measures proposed since 2000 have passed. The price tag has sometimes given Santa Monica voters pause, however. 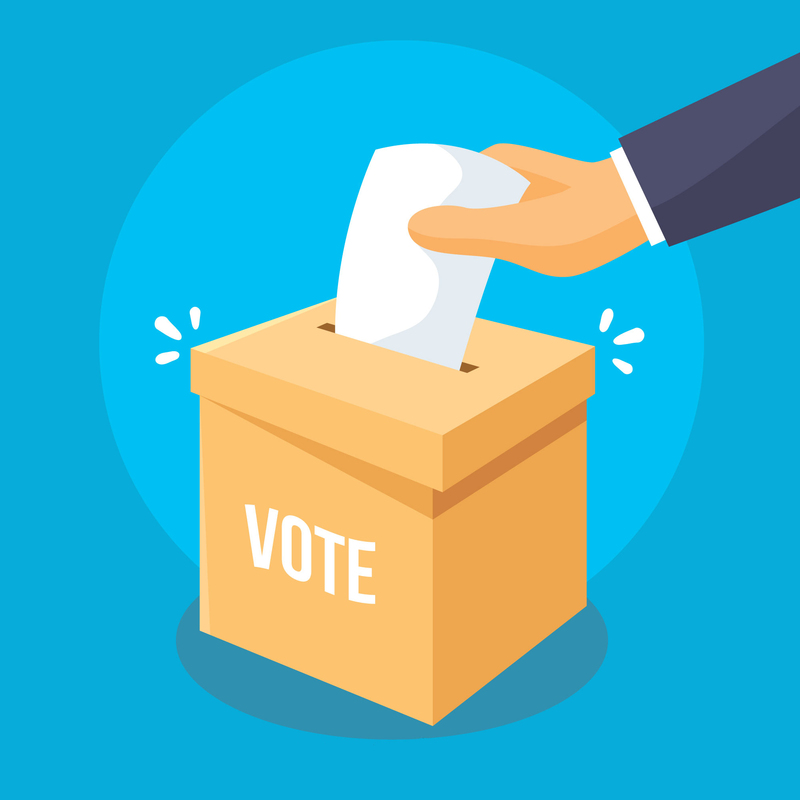 The two failed measures both proposed a direct so-called “parcel tax”, which requires a two-thirds majority for passage instead of the 55 per cent required for bond measures. Unlike some of the older district schools, Will Rogers is fundamentally in good shape, Bourke said, and its STEM focus means we have great science and technology resources. We also have instrumental parent-led committees, on facilities and beautification, that are already preparing to enhance the STEM presence in our school. That leaves open the possibility of something truly ground-breaking – an innovation center of some sort on the site of the condemned church. The district-wide PTA Council is supporting SMS. So is our own school PTA, which voted to contribute $3,400 to the Yes on SMS campaign. Election Day is November 6. 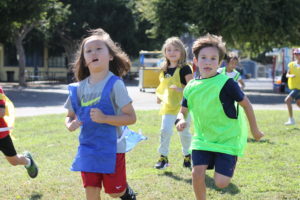 Zena Williams leads the fourth-grade pack; behind her Santiago Aquino, Natalie Peterson, Jack Avedian, and Townes Widger. 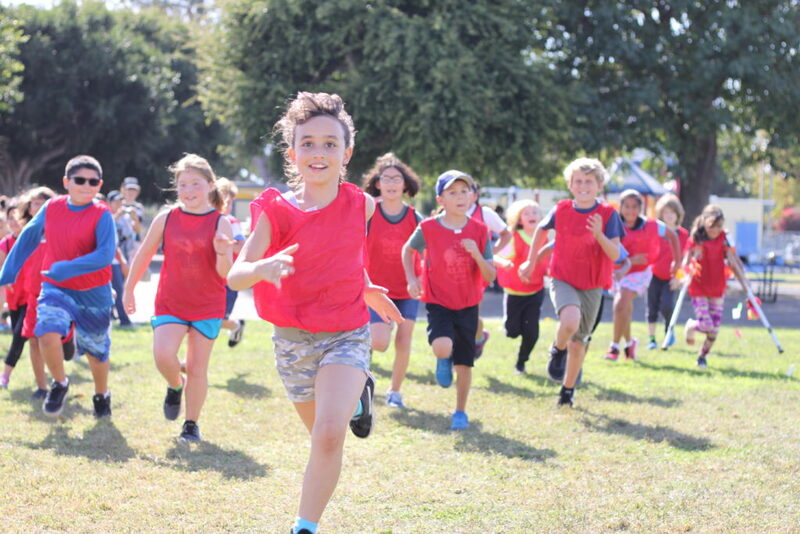 The sun shone, spirits were high, and Will Rogers students put heart and soul into this year’s Jogathon, raising well over $26,000 for the school – a significant jump from last year’s haul of $20,000 — and getting some excellent exercise while they were about it. The students that brought in the biggest class contribution were Mrs. Hayes’ fifth-graders, followed closely by Ms. Yi’s first-grade group. A big difference-maker was the online registration and donation system. 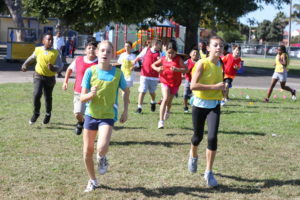 Just 13 per cent students registered online last year, but this year the figure was up to 50 per cent, according to Michael Scott and Emily DeFraites, the Jogathon organizers. First graders Kenzi Lafayette and Calder DeFraites-Scott making some noise! 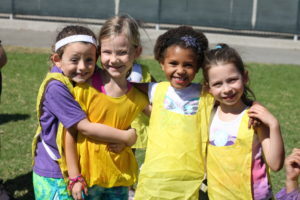 Rosie Mollo, Josephine Browning, Brody Breakfield and Daniela Kadish from Ms. Turner’s kinder class. Riley Slater and Jordyn Scannell lead the students from Ms. Hayes’ fifth-grade class. 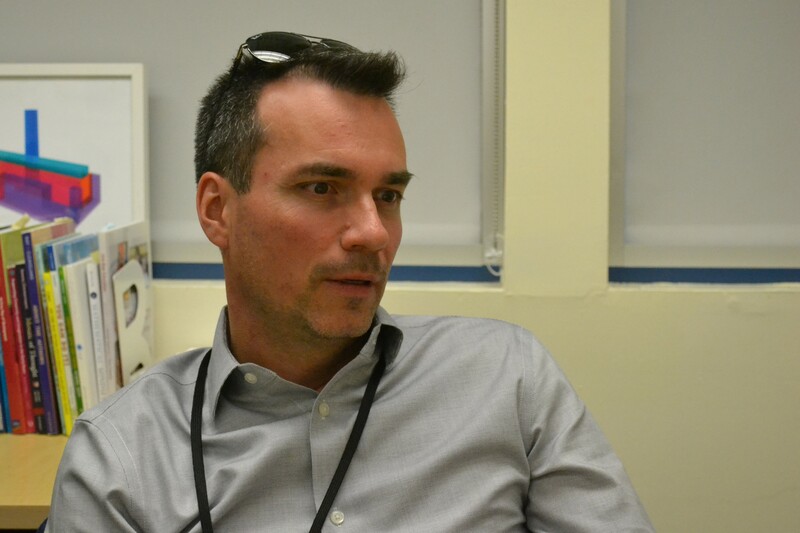 Ryan Bourke came to us from Manhattan, where he was principal in two different elementary schools. He’s from north of the border, originally, from the small town of Grande Prairie, Alberta, which Wikipedia says is 456 km northwest of Edmonton. You may not be familiar with kilometers, but that’s far. And very cold. He played cello as a kid, became a cello instructor, and found his way from there into formal teaching. He worked in California once before, in Rowland Heights, but much prefers Santa Monica. (Right, Mr. Bourke?) His daughter is in Ms. Urias’s 1st-grade class. And, by the way, he’s never played Fortnight. Shocking, but true. Our new principal thinks questions are more important than answers… so we interviewed him to put his theory to the test. (We report, you decide.) He talked about his childhood in Grande Prairie, Canada, about the things he likes about his new job, about the things he wants to change, about pizza, the Dodgers and… well that’s enough spoilers. What’s the thing you’ve found at Will Rogers that you’ve liked the most? I say this to staff and parents all the time: Will Rogers is not Will Rogers School, it’s not Will Rogers Academy, it’s Will Rogers Learning Community. The most important aspect for me is the community. Teachers are friendly, they get along with each other, and parents love to be on campus. They all work for what is best for students. That sense of community is really strong. You’re getting right to the point, aren’t you? Well, there’s one small thing and one bigger thing. The small thing is recycling. I would like all staff and students and parents to learn that when we’re in the classroom, we put paper in paper recycling, and when we have plastic we put that in the plastic recycling. A tremendous amount of trash comes out of the lunchroom every day and it goes directly into a landfill. I want to reduce our footprint on that landfill. I want to reduce our carbon footprint. The big thing is that I want to support the vision of Will Rogers as a STEM-focused school. It says “STEM-focused school” right on the letterhead. And it’s true — our teachers do it well, our kids do it well. I see people doing things here that I haven’t seen in other schools, and I’ve been in a lot of other schools. But… I want the whole community to be able to realize their potential when it comes to STEM and really put our school on the map. I want us to be known as the school in America that is doing some cutting-edge, renegade approaches to STEM. We’re doing things really well, but we could do things really well. What’s your favorite memory of your time in elementary school? I had fun. Avondale Elementary was a place of joy. One specific memory is my third-grade teacher, Mrs. McGarty. I remember her celebrating my writing and reading it out to the class. She really helped me believe in my own potential. Someplace in my box of memorabilia I have something she wrote saying, “One day when you become an author please dedicate your first book to me.” I haven’t written a book yet, but I’m going to. When you really believe you can do something, you can do it. What can you tell us about Grande Prairie, Alberta, that might surprise Santa Monicans? When I grew up, we had a lot of freedom. In third grade I used to leave school around three o’clock, and me and my friends would go and play until 5:30. At 5:30 I had to go home and have dinner. There was a river running through town and lots of woods. We would explore the woods and make tree houses and build rafts out of wood. It was a tiny town and a tiny school district but we had one of the best music programs in North America. That’s how I got into playing the cello. By the time I was in fifth grade we were traveling across the country. We’d come over into the States, too, to compete with other orchestras. What have you found in Santa Monica that might surprise people you grew up with? It has a small-town feel. Los Angeles is a huge metropolitan area, with a bigger population than the whole of Canada, but Santa Monica still has a small feel to it. The schools are intimate. There are neighborhoods. You get to know people on the street. As you’ve made your career in education, is there someone in particular you have looked up to? There was one prinicpal I used to work with, Liz Phillips, at PS 321 in Brooklyn. I learned a lot from her about being a leader, and listening to people, and building community. She was all about building community. There’s a quote, I’m not quite sure who said it (it might have been Einstein) that the question is more important than the answer. Einstein said that if he had one hour to solve a big, big problem, he’d spend 55 minutes thinking of a good question to ask, because if you could think of a good question you’d get the right answer in five minutes. If you could get every Will Rogers student to read one book, what would it be? The Hobbit. I read it when I was in third grade. Bilbo Baggins is a very short character, not too attractive, with big hairy feet. He comes for a faraway place, a bit like me, and nobody would expect anything great to come from there. But he’s a hero, the least expected sort of hero. Okay, let’s get serious. What’s your attitude to cell phones on campus? I’m about to send home a cell phone policy, and it’s going to say no cell phone use on campus and no cell phone use in class. I recognize students are going to have cell phones, and that’s fine. But when you come to school, we keep you busy. You have ample opportunities to be in front of technology, and we want you to use those educational devices, not your phone. The policy will say you can have one, but it has to stay in your bag, out of sight. If parents need to get hold of you urgently, they can call the main office. Have you eaten in the cafeteria and if so what do you like and what don’t you like? What I like about lunchtime – and it’s no different for adults – is that it’s an opportunity for us to de-stress. There’s chatter, there’s laughter, we can have fun. The food? That depends. There’s going to be things you like and things you don’t like. I can’t control the menu, the federal government sets the menu. What I do expect is that kids use the 20 or 25 minutes they have to eat. Pizza. It’s Pizza Hut pizza! I haven’t tried all the food. But I do not like cooked turnips. My mom used to make them and I can’t handle them. If you ever see cooked turnips on the menu, steamed turnips, you come let me know. Okay, let’s get really serious. You worked in the Bronx. Yankees or Dodgers? You talking baseball? Because if you’re talking baseball – Yankees. The Dodgers came from Brooklyn. And you studied in Edmonton. Oilers or Kings? It’s the same thing. I grew up near Edmonton, I met Wayne Gretzky. Come on. If you could have dinner with three people, dead or alive, real or fictional, who would they be? President Obama. He had a vision and probably still does – I’d like to pick his brain. My grandma. Maybe both my grandmothers. And Mozart. I’m a musician. I would not choose Kim Kardashian. Ever.